Recently, I had a friend who has been known as “the network guy” message me after he started a new job, and logged into VMware vCenter for the first time. His goal was to figure out how to learn about VMware as quickly as possible. While many who are already familiar with VMware vSphere may take learning about it for granted, there are many IT professionals that have only had a brief exposure to the things we know so well, and are looking to learn about VMware. If you find yourself asking the question, “What is VMware?” have no fear, there are plenty of free VMware training resources out there. If you know enough to be dangerous and are looking to learn more about VMware, there are plenty of resources out there for you too! Many of these VMware learning resources are absolutely free too. 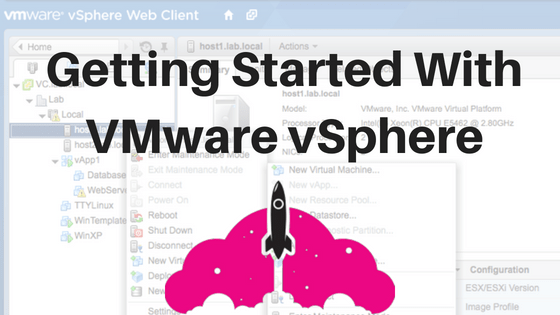 Now, let’s take a look at a few ways to learn more about VMware vSphere. What is VMware vSphere Anyway? VMware vSphere is a virtualization platform. If I deploy a physical server for an application, I need to make sure I understand the workload. Once I deploy this physical server, it can be difficult to add additional CPU and Memory in many situations, plus it takes up space! If I am using 5% of this sever’s resources, I am wasting CPU, Memory, Space, Cooling, and Power. If we install a special piece of software on a physical server called a hypervisor, we can run many servers on that single piece of hardware, ensuring we are not wasting these resources. The VMware hypervisor is called ESXi. We can then put these physical servers into a cluster and use special software to manage it. This lets us do cool things like protect against physical hardware failure. In this case, the special software will re-start the virtual machines on hosts that are still running in the cluster. Is this a gross oversimplification of virtualization? Yes, but it is enough to get you started. Be sure to check out the more in-depth article “What is VMware?“. Read on to discover different ways to start your VMware learning journey. This may sound silly, but the fact is VMware documentation is top notch. VMware’s vSphere Docs is a completely updated documentation portal with an easy to navigate web interface. Many times I start here if I am looking for something specific, like when I was looking for specific virtual machine permission info. The official VMware documentation is one of the most overlooked VMware learning and VMware training resources. The best part is this web based resource can be used at one’s leisure, and is a great way to start getting familliar with VMware vSphere concepts and technologies. Maybe someone is looking to start slow, and will start with a section a day, or maybe someone else will blow through it in a weekend. Either way, it is a great reference. Luckily, there are plenty of videos on YouTube all about VMware, from explanations of the VMware basics to demonstrations on configuration and operations inside a VMware environment. As I have mentioned, there is no shortage of free VMware training if you know where to look. When I was first learning about VMware vSphere, I would spend many Friday nights and weekends with YouTube as a learning tool. If you are someone who likes to learn by watching, this is a great resource for you. This is also a good resource for playing along at home (see the section below on AutoLab). I do not have enough good things to say about VMware Hands On Labs (HOL)! Back when it was just starting out, years ago, I badgered by VMware account rep for an invite, and was not disappointed! HOL has really evolved over the years, and is the destination for kicking the tires on whatever VMware product you want to. Getting right to it and playing with VMware is one of the best ways of learning about VMware products. The best thing about HOL is the ability to test the waters without worrying about breaking something in a production environment. HOL has so many cool things to do I am almost considering abandoning this post to go play. One of the best parts of HOL are all the features you can try out. For example, if you are a networking person, you may want to start with one of the networking labs to see how vSphere fits into concepts you already have a solid understanding of. A good example of this is playing with the vRealize Network Insight Hands-on-Lab. Each lab comes with a detailed lab guide, so you know exactly what actions to perform and how it all works. AutoLab is a combo guide and canned scripted setup for vSphere. 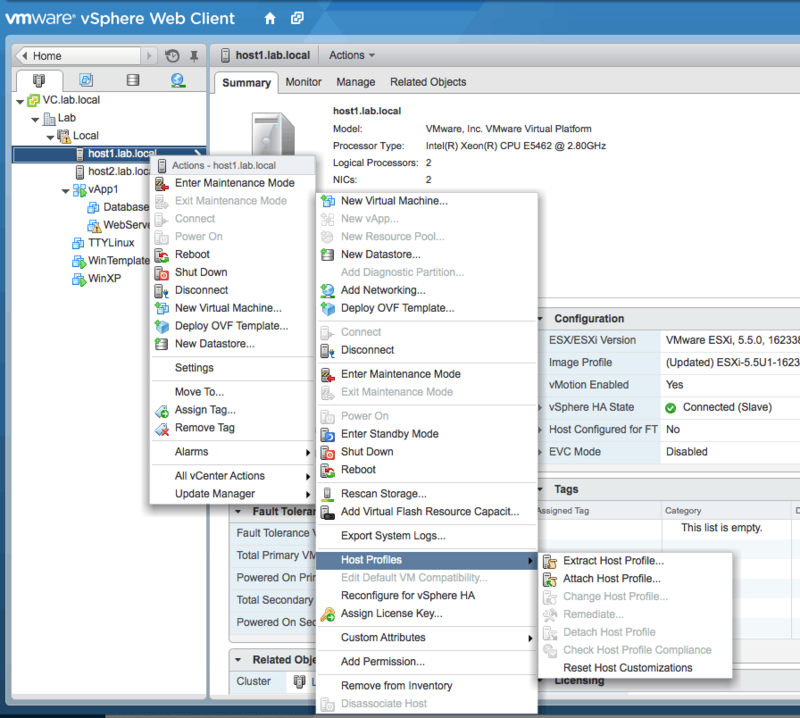 The lab guide walks you through the complete setup of a VMware vSphere environment. Best of all, you can run it nested in VMware Fusion, on your own hardware, or in the cloud at Ravello Systems. AutoLab also takes care of all the extra things you’ll need like a domain controller to have a fully functional environment. You may not have the opportunity to set up a VMware environment soup to nuts anywhere else, but it is definitely a great learning experience. Best of all, after it is fully built, you can wreak all the havoc you want, and rebuild it again! One of the great thing about VMware is they want to get you hooked, you can run vSphere for 60 days without entering licenses. What happens after 60 days? Why start over of course, and and keep on learning. You can find a great tutorial on how to get AutoLab running in the Ravello Systems cloud on VirtAdmin.com. Sometimes it is relaxing to just kick back and read a book, either digital or physical. One of my favorite vSphere books is Mastering vSphere 6. It is a great easy ready which covers everything and anything you need to know about setting up a vSphere environment. There are a huge array of excellent vSphere books out there as you progress, but this is and always will be one of my favorites for getting started. If you are really looking to learn the fundamentals of what virtualization is, and how it interacts with the rest of an IT infrastructure, I highly recommend my book IT Architect Series: The Journey. In addition to a technical overview of the areas of IT infrastructure, I spend a good deal of time talking about different methods of leaning and how to use them. I hope this helps anyone getting started with their vSphere journey. Don’t forget to check out your local VMUG – that’s VMware User Group and attend one of their meetings. VMUGs are a great way to connect with others who work with vSphere, and generally everyone is super nice and super helpful. I started learning VMware with many of the methods I just talked about, and considering I am now a VMware Certified Design Expert, I would say they worked pretty well! Be sure to check out this article on What I Wish I Knew When I Was Learning VMware. Before I became a VCDX, I had to start at the beginning of the VMware certification path, just like everyone else. Be sure to check out The Simple Guide to VMware Certification to help you get started with the VMware certification process. This guide will get you started on the VMware certification path, which is a great way to learn all about VMware technologies. Hi Melissa, this is way I started my blog about VMware and Homelabing. To show new people (me included) to get started with VMware world. Even if it’s considered commodity now, there are lots of people out there with zero knowledge in it. And find content in Brazilian Portuguese is almost impossible.